It is so lovely to see you back. Lets hope 2019 is a much better year. I love your whole nine, and is a wonderful place to start. The idea o working on your wips is a great one. I pray 2019 will be a much better year for you. You list of nine is great. Think of how accomplished you will feel as you complete each one of those. You have baby items to do too? Love making baby items. They are quick and so adorable. Great to see you back. What a wonderful sense of achievement you will have this year getting these WIPs off your list, especially the socks. Like Lucy I hope 2019 is a better year for you and your family. I love your approach with the nine and using it to start off with working through your wips is great. I hope you have a much better year. Good luck, I'm sure you'll finish lots of your WIPs. 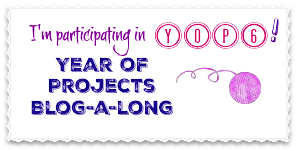 These are some really yummy projects, can't wait to see them completed. So many projects. I have lots to finish. Two that I can't remember the patterns I was using so may need to frog and start again. Happy New Year! Welcome back. Good on you to plan your make 9 to finish your wips. I bet you will whip right through them. Hoping 2019 is a gentler year for you. Can't wait to see how your Year of WIPs will go - but my experience is that it is VERY helpful to have a support group as a back-up. Great minds think alike! I plan on doing lots of work on WIPs this year too. I'm not saying I won't start anything new but mostly it is going to be WIP's! Glad you are back and 'in the game'....I wish you nothing but the best for this year ahead! I love your WIP's....I need to look some of them up....just looking...that's all! LOL!